'Focus on cutting long surgery waits' Jump to media player Health boards are expected to have a "clear focus" on patients waiting more than a year for surgery, the head of the Welsh NHS says. Spinal surgery wait 'a real burden' Jump to media player A man told he might face an 85-week wait for spinal surgery says his life is on hold. 'No quick fixes' for waiting times Jump to media player The Royal College of Surgeons says the rise in long waiting times is disappointing. A doctor's life in Wales in pictures Jump to media player These images taken by the medical profession for a BMA Cymru photography competition. 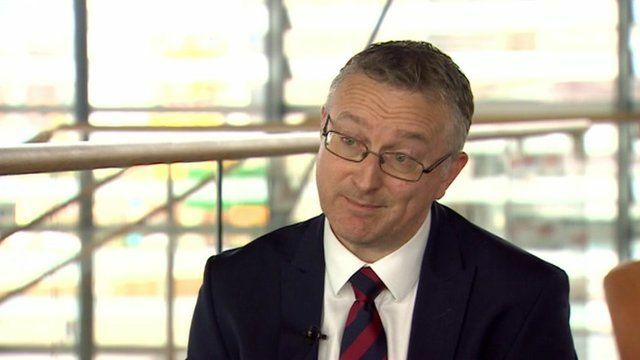 Ministers expect a "clear focus" from Local Health Boards on patients waiting more than a year for surgery, Welsh NHS chief executive Andrew Goodall has said. According to figures, obtained by the Royal College of Surgeons, five times as many patients in Wales are waiting more than a year for surgery compared to four years ago. Mr Goodall told BBC Wales waiting times can be improved with local focus, an attention to detail and good relationships with clinicians.